The Republic of Panama is the southernmost country of Central America. Situated on the isthmus connecting North and South America, it is bordered by Costa Rica to the northwest, Colombia to the southeast, the Caribbean Sea to the north and the Pacific Ocean to the south. The total area of Panama is 75,517 km2 (29,157 square miles). The capital is Panama City. Panama had a population of 3,360,474 in 2009. As of the year 2000, the majority of the population, 50.1%, was Mestizo (people of mixed European and Amerindian heritage or descent). African and Mulattos were together the largest minority, accounting for 22%. For the remaining groups the percentages were: Ameridian 6.7%, European 8.6%, Asian 5.5%, and other 7.1%. The Amerindian population includes seven indigenous peoples: the Emberá, Wounaan, Guaymí, Ngöbe Buglé, Kuna, Naso and Bribri. Various sources estimate that 75 to 85 percent of the population identifies itself as Roman Catholic and 15 to 25 percent as evangelical Christian. The Mennonite presence in Panama is represented by the Iglesia Evangélica Unida (Evangelical United Church), which was founded among the Choco people in Darien Province of southern Panama in 1961. The congregations of this conference originated through a literacy and adult education program aided by the Mennonite Brethren Board of Missions and Services. This was an outgrowth of Mennonite Brethren mission work in Colombia. The conference was mainly indigenous from the beginning and was fully autonomous. It was officially incorporated in 1971 with a board of directors. Christian Leader (21 August 1984): 39. Kraybill, Paul N., ed. Mennonite World Handbook. Lombard, IL: Mennonite World Conference, 1978: 239-241. Mennonite World Conference. World Directory = Directorio mundial = Répertoire mondial 2012: Mennonite, Brethren in Christ and Related Churches = Iglesias Menonitas, de los Hermanos en Cristo y afines = Églises Mennonites, Frères en Christ et Apparentées. Kitchener, ON: Mennonite World Conference, 2012: 24. Mennonite World Handbook Supplement. Strasbourg, France, and Lombard, IL: Mennonite World Conference, 1984: 92. Wikipedia. "Panama." Web. 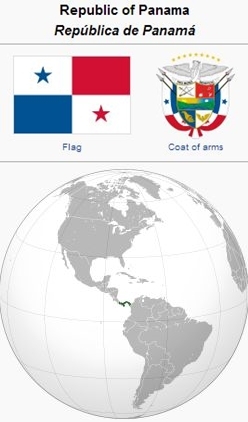 8 November 2010. http://en.wikipedia.org/wiki/Panama. Sawatzky, Reynold. "Panama." Global Anabaptist Mennonite Encyclopedia Online. November 2010. Web. 19 Apr 2019. http://gameo.org/index.php?title=Panama&oldid=122309. Sawatzky, Reynold. (November 2010). Panama. Global Anabaptist Mennonite Encyclopedia Online. Retrieved 19 April 2019, from http://gameo.org/index.php?title=Panama&oldid=122309. Adapted by permission of Herald Press, Harrisonburg, Virginia, from Mennonite Encyclopedia, Vol. 5, p. 671. All rights reserved. This page was last modified on 23 May 2014, at 05:59.